According to new research from the Employee Benefit Research Institute, Americans who are approaching the retirement window are more confident than in recent years. The study, known as the Annual Retirement Confidence Survey, tracks how individuals feel about the amount of money they have saved for their post-working years. 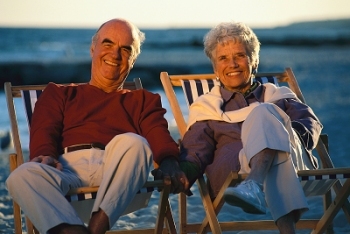 There are many different questions that tie retirement planning into estate planning. In fact, it can be very helpful to consult with tax and estate specialists in the period before you retire so that you are informed about your options. Early retirement planning is not just for your peace of mind, though. Discussing tax saving strategies can make all the difference between retiring comfortably and being concerned about finances later on. One of the primary reasons that retirement planning is such a big concern for today’s workforce is because Americans are living longer. Maximizing savings and getting the most out of your assets is a crucial concern for individuals who are hoping to avoid tax surprises before and after retirement. Women especially are getting more involved in the estate and tax planning process because they tend to live longer. 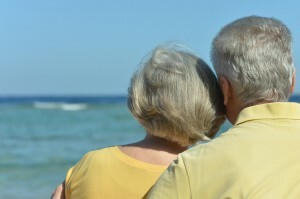 Couples may want to discuss optimal planning strategies that protect the spouse who lives longer while protecting assets that are intended to be passed down to future generations. It’s likely that you may have several accounts or strategies already lined up for retirement, but it may be in your best interest to walk through how these plans and savings work together and how you can get the most out of them as you approach retirement. 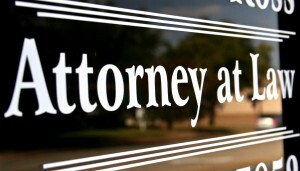 For tax planning strategies for your needs, contact the attorneys at Shah & Associates today at info@lawesq.net. We have so much for which to be thankful this year. Managing attorney Neel Shah recorded this quick video with his wife, Pinky Shah of NJ Mortgage LLC to express our gratitude To our family at home and our families in the office. Can You Trusts and Estate Advice From a Non-Attorney? Most people putting together a comprehensive estate plan may involve other professionals like a CPA, Financial Advisor or Insurance Professional, but you should always be cautious of anyone outside the realm of a certified individual to be giving you advice for your estate plan. Often, these can come in the form of people who are solely motivated to sell annuities and life insurance, and they may lead you to believe that they are experts in the law. There are two common ways that these individuals get you to buy in to the offer: it typically begins with a free lunch or dinner offer for “estate planning advice” and then follows with a high-pressure push asking for an in-house visit to discuss ideas with them further. These people will end up offering you some kind of Trust or legal document, but the person likely is not an attorney. We are blessed to work with many holistic financial advisors & insurance professionals who incorporate sound life insurance and sensible annuities strategies, for sure. And there may even be legitimate people out there offering trusts, but it’s misleading to make you think that you’re working with an Attorney when you’re not. Anytime you meet with someone claiming to be an “expert” or “professional” ask to see their credentials. If they are offering estate planning advice and making you think he or she is an Attorney or has an “in-house” attorney who will “take care of everything cheap”, be wary & verify the details. 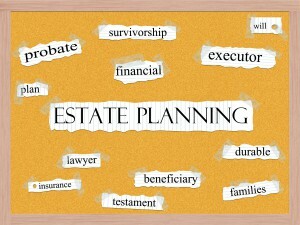 A legitimate estate planning attorney likely has a list of credentials, details of which can be easily confirmed. For advice from a New Jersey estate planning firm with years of experience, contact our office today at info@lawesq.net. A new report from Bankrate has reviewed the best state for retirees to head off to in their golden years, and Florida did not make the list! According to financial analysts, retirees need to consider far more than just sunny weather when factoring in long-term planning after their working years. The best retirement state, according to the report, is South Dakota, but other solid locations include Wyoming and Nevada. Why are such out-of-the-box choices deemed so worthy? No state income tax is a primary reason that retirees should consider these locations (although this makes Florida an option, too!). When you’re moving to a new state, you’ll also want to know how that state taxes income and have your CPA look over whether itemized deductions you took in your previous state are disallowed in your new location. Whenever you relocate, make sure your estate planning documents are in line with your new location and the state rules there. Don’t make the mistake of assuming that documents necessarily transfer between states. Finally, if you don’t want to make a move but are still concerned about state income taxes in your present home, you can take advantage of the tax benefits offered by a DING or NING trust. These trusts, based out of Delaware and Nevada, accordingly, may allow you minimize your taxes without actually relocating to the more tax-friendly state. Whether you’re new to New Jersey or New York or simply looking to get the most out of your tax planning, you need advice you can trust. Set up a consultation with our tax planning attorneys at info@lawesq.net. Any decisions you make about converting your Roth IRA should be evaluated in light of taxes and your entire estate plan. 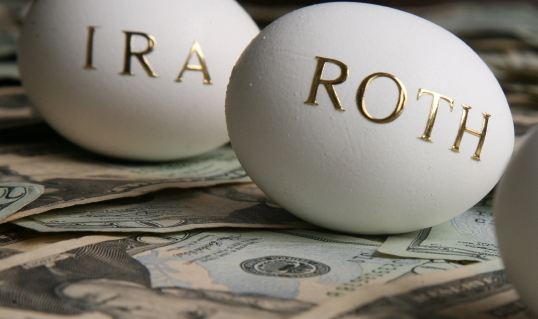 You need to consider three primary concerns before electing to convert your Roth IRA. Concern #1: Are You Getting the Most Out of Your IRA? If you do some advance planning, a Roth conversion can benefit multiple generations, especially if you have a spouse. If your spouse decides that he or she doesn’t need the assets inside the Roth because there are other forms of support, then the second spouse could disclaim receiving those benefits and hand it over to future generations. In this case, children or grandchildren would have the required distributions based on their life expectancy, allowing for a lot of tax-free growth. Concern #2: Are You Going to Outlive Your Roth? The primary reasons to consider a Roth conversion are to reduce the size of your taxable estate and to pass on assets tax-free. Although you can’t entirely predict longevity, you can make some estimations about your spending, your lifestyle, and your net worth. This can give you a clear picture of how you might spend down a Roth and what other assets would remain in your estate. It may be worth your time to wait for conversions until you’re no longer working and in a lower tax bracket, for example. Concern #3: Are You Going To Gift it To Charity? Since charities don’t have to cough up income taxes on received donations, a traditional IRA is a better gift to charity than a Roth. If you would like to maximize a gift to charity, opting to convert to a Roth could actually be the wrong move. When you have specific estate planning concerns, you need guidance from professionals who understand the tax ramifications of your decisions. To walk through tax-saving strategies specific to your situation, contact us today at info@lawesq.net. Divorce generates a lot of difficult questions about property division, but one of the most challenging questions you don’t want to have to consider is whether you may lose some of your inherited assets. Even though some states may not consider assets inherited by one party as jointly-owned marital property by both parties, you can take some preventive steps to protect these assets. Keep copies of all documents related to the assets. 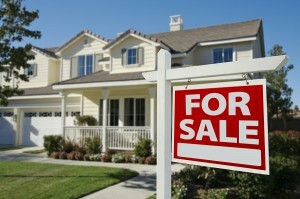 Anything that shows the property was intended only for you, and not for you and your spouse, is important. If you have a letter from the person who passed the property on to you, add this to your copy arsenal. The more solid evidence you have that this property was intended for ownership by you alone, the better. 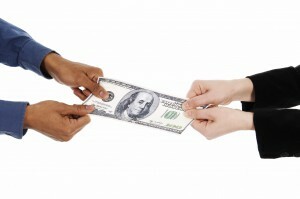 Don’t mix inherited money with accounts that are linked to your spouse as well. Park your inheritance in a separate investment or bank account. This helps to support the idea that the inherited money was not intended for the use of both spouses. Likewise, keep the titles in your name only, especially if you’ve been gifted an inheritance for the purchase of a specific item, like a home. Consider a prenuptial agreement. If you want to help protect inherited assets like property, money, or businesses, a prenuptial agreement is one all-encompassing approach to shielding these assets. Make sure there is a clause specifically explaining that a spouse has no right to inherited assets in the event of a divorce. Advance planning is the best approach to protecting inherited assets from becoming a target during your divorce. Contact our office for assistance at 732-521-9455 for more details. Does Moving Influence Your Estate Plan? In the midst of a crazy move, no one will blame you if you forget about the possible impact on your estate plan. 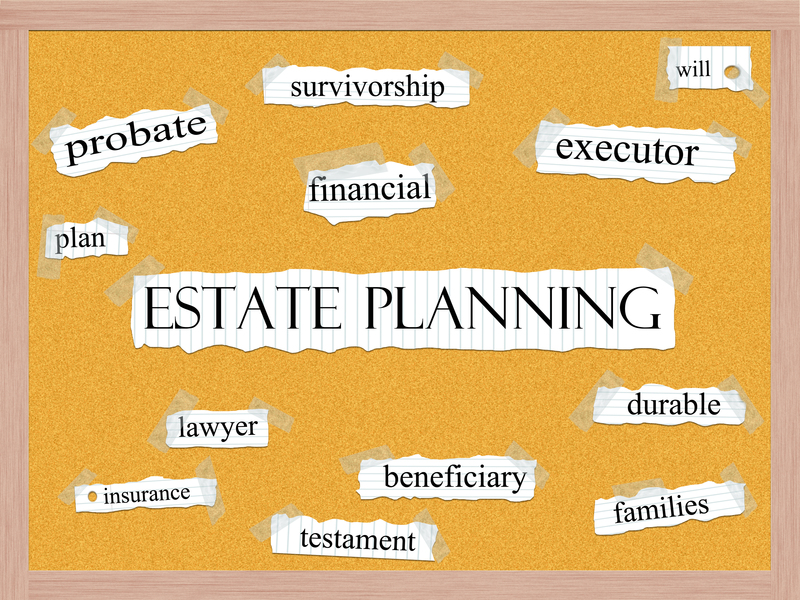 Once you’ve settled and begun the long process of opening boxes and hunting for items that you are sure you have packed but have seemingly disappeared into a black hole, you’ll want to add “update estate planning” to your to do list. If you’re relocating to another state, you definitely want to consider ensuring that your will is valid in a new state. If your new state has different estate tax laws, your estate plan from your old home may not be properly maximized. Finally, you’ll want to look into the community property laws of your new state, too. If you’re relocating to another country, it becomes even trickier to determine the laws that you need to comply with. As you can see from just a few examples, moving can generate a lot of questions about your existing estate plan and it’s very likely that you’ll need to update documents. Do this under the guidance of an experienced estate planning attorney who can review your situation to maximize asset protection and minimize taxes. Contact our planning specialists today at info@lawesq.net. A recent decision from the Wyoming Supreme Court highlights the dangers of having a single member LLC. Known as “veil piercing”, when an LLC is not properly protected, the parties to it can have their assets exposed to debt collectors and creditors. Although the basic idea behind an LLC is protecting private assets from business debt collectors, more courts are generating cause for concern about exactly this reason because they, like the Wyoming Supreme Court, are finding just the opposite. This idea of limited liability is often a primary reason that an investor opts to choose the LLC format. Not wanting to expose his or her personal assets to risk is a critical reason that an investor takes that initial leap and confidently launched a business. No one would jump into the sometimes murky waters of business without calculating the cost of the investment in terms of potential profit and risks. Thankfully, there are a few steps you can take under an experienced tax and planning attorney that will help limit the opportunities any creditors have to pierce the veil. Ensure that the legal requirements and all formalities are addressed by the LLC in addition to remaining compliant with the IRS. Avoid commingling of accounts where possible. Asset protection planning and having multi-member LLCs is another wise option that can help to limit some of your personal exposure to risk in a business venture. Trusts, holding companies, and even retirement plans might also factor into your strategies. Contact our office today to learn more at info@lawesq.net. A will typically has many different clauses within it that your attorney will walk you through during the drafting process. The most common clauses are an introduction, a debts section, taxes, tangible personal property, real estate, specific bequests, residuary, powers, the appointment of fiduciaries, signing, attestation, and other clauses. In this blog post, we’ll focus specifically on some key questions to consider for the powers clause. The first question to consider is whether the will should include independent executor details, which means that an executor is given operation powers outside Probate Court supervision. Including this in your will can allow things to move forward much more quickly, but it must be expressly outlined in the will in order to be valid. Do these individuals have any liability limitations? Are there any power limitations for their actions? If there a business to be handled by the executor, is the executor able to continue operating it? What are the benefits or disadvantages associated with naming a bank or similar institution as the executor? Working with an experienced estate planning team is a crucial step to ensure that you have addressed all of these questions and crafted a will that is not only valid but works to carry out your own wishes. Contact our office for will development and review by emailing info@lawesq.net. While there are many resources out there to help you plan for the future of more typical assets, like stock and pond portfolios, it’s just as important to be clear about the best way to pass on the legacy of personal item collections, too. In the blog, we’ve previously talked about some ideas regarding management of an art collection, but what about guns? Passing down your collection of firearms can be tricky, but placing them inside a revocable living trust might be the best option for you. In this situation, the gun owner serves as the trustee. A revocable living trust can be a good choice for items that are federally-restricted, like silencers. Doing so can help to eliminate some of the paperwork associated with owning and transferring these kinds of assets. While these can accomplish the goal of reducing red tape, a revocable living trust is also growing in popularity as a way to handle the gun collection belonging to a deceased loved one. Serving as the owner and trustee of your trust works while you are still alive, but it’s very prudent to establish a successor trustee who is also familiar with federal and state laws related to firearms in addition to some of the more care-specific concerns like storage. When done this way, you have the assurance that a knowledgeable individual is taking over the collectio management if something happens to you. The Internal Revenue Service recently announced inflation adjustments that will have an impact on more than 40 tax provisions. Some of the key impacts are worth noting for those who are engaged in the tax planning process. It’s critical to stay involved in your tax planning with reviews on at least a yearly basis simply because of the possible changes handed down from the federal level. 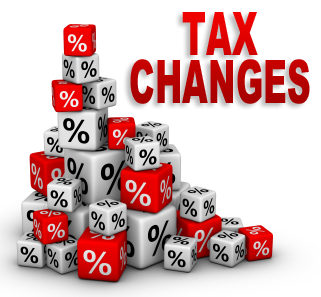 Although it’s a good guideline to always be in touch with strategies that could help maximize your assets and minimize taxes, check in with your tax planning specialist toward the end of the year so that your plans are structured appropriately for any incoming changes for the forthcoming tax year. For decedents who pass away during 2015, their estate will have a basic exclusion amount set at $5,430,000, an increase from $5,340,000. 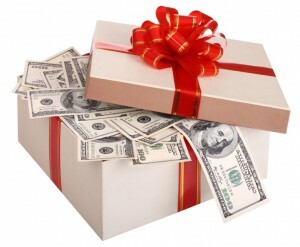 The annual gift exclusion remains the same, sitting at $14,000. Non-U.S. citizen spouses can benefit from an adjustment in the exclusion from tax on a spousal gift, since that is up to $147,000 from $145,000. There’s never been a better time to discuss your current planning strategies and have them evaluated to best meet your needs. For a comprehensive review of your tax-saving strategies or a discussion about how to get started, contact Shah & Associates at 732-521-9455. 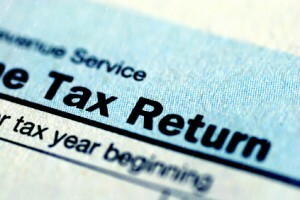 End of Year Tax Question Roundup: Are Estate Planning Fees Deductible? As we climb closer to the end of the year, many people are concerned with increasing tax deductible expenses. One of the common questions involves whether estate planning fees are deductible for income tax purposes. The short answer is that these can be deductible, but that it depends. The above three bullet points are examples of miscellaneous itemized deductions but the fees associated with the estate planning are subjected to a 2% AGI (adjusted gross income) floor. Personal legal expenses, like legal costs to prepare a will, are not deductible. The same goes for basic powers of attorney and medical directives. If you’re putting together comprehensive plans with credit trusts to reduce estate taxes and revocable trusts to avoid probate, however, these can be tax deductible. You’ll want to discuss the specifics about what portion of your estate planning fee is tax deductible, but doing so can help reduce what you owe in personal income taxes. Contact the professionals at Shah & Associates to get a jump start on your tax planning and earn that tax deduction by emailing us for an appointment at info@lawesq.net. Don’t make the mistake of thinking that you can skip out on essential estate planning just because you don’t have children. As a partner in a married couple, you still have two main concerns to address with estate planning: creating a power of attorney and determining how you want property transferred if something happens to you. If something happens to you, you probably want your spouse or another individual to take over the responsibility of managing your affairs. Although these are difficult questions to ask, you need to be prepared for the event of incapacitation, and estate planning can help you address your affairs management. If you don’t have a will or trust to handle what happens to your property, state law takes over. This can have the negative impact of passing on your wealth the way that state law wants and not the way you want. As an owner of assets, it’s likely that you have some input over what you’d like to happen to your assets, and that’s why it’s critical to figure out how the transfer of your property can happen. If there are not other family members who you would like to inherit the assets, it might be worthwhile to discuss your options, anyways. It’s possible that you can help minimize the estate taxes faced by the remaining spouse, but you may want to look into giving over some of those assets to charity, too. Either way, put yourself in the driver’s seat on estate planning and be sure you have articulated your wishes. There are multiple tools that may be relevant in the estate planning scenario of a couple without children. To learn more about structuring your future no matter what your circumstances, contact our office for a consultation at info@lawesq.net. With the holidays right around the corner, many people are thinking about giving gifts but also about tying up their charitable donations as the tax year winds to an end. It’s important to understand what kinds of gifts you can pass along without there being tax consequences. This is helpful not just as a reminder for holiday gift-giving, though, but for your long term awareness of what saves on taxes and what does not. Bear in mind that gifts to individuals are not like charitable donations- there are no income tax deductions for gifts that you pass on to other individuals. However, these can be a good tool to pass on investment income away from you and into the hands of family members that are in lower tax brackets. There’s a side benefit related to your estate, too. Passing on gifts to others can minimize the value of your estate that will be taxed at death. Factor in gift taxes whenever you’re passing on cash and playing Santa, though. For the most part, the gift tax is a high enough value that it doesn’t pose problems for many individuals. Annual exclusions for an individual are $14,000, and this is double for a married couple. And it doesn’t matter if you’re contributing the entire $28,000 or whether you and your spouse are splitting this gift to one person- the exclusion protects you all ways around. Some people have the misconception that they can only give away up to $14,000 per year, but this is on a per-year, per-person basis. If you wanted to, you could pass on the individual or married couple amount to each of your grandchildren, children, other relatives,or friends. If you’re intrigued by what other strategies can aid in your long-term planning, contact our estate planning professionals today at info@lawesq.net. Rare books? Might want to be sure they’re listed in your will. When a loved one passes away, there are many valuables or assets that might be specially reference in the will or other estate planning documents, but inheriting a library can raise a lot of questions for you. 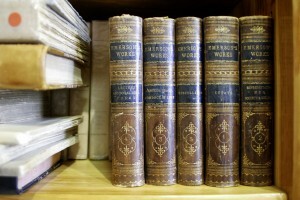 If you’re not a book collector yourself, it can be confusing to determine what books are rare or not and just how much time you should spend on figuring out what to do with the books. If you make a bulk donation, though, you might miss out on some rare library gem that you’d like to keep in the family or sell. If you think there are rare books in the collection you’ve inherited, it could be worth the time to identify those special books and make your own decisions about how to handle them. Thankfully, there are several sites that can make your search easier. You can begin by sorting the books you know you want to keep or give away and make a special pile of those you want to research further. This will help you make the most of your time. The following sites can be helpful when you’re searching for book values. To make sure you’re accessing the right information, always use the ISBN as opposed to the title or author so that you are comparing apples to apples. If you think there are numerous titles that you can’t handle, contact a rare books specialist to help you determine the value of what you’re looking at. An experienced dealer can also clue you in to factors like possible damage or covers that could alter the actual value of the item. Credit Shelter Trusts: Do I Need One? Credit shelter trusts have a history of popular use with married couples because at its basis, this trust protects assets up to the federal estate tax and gift tax exclusion in order to be taxed under the first spouse’s estate. When that spouse passes away, the assets stay in the trust in order to benefit the surviving spouse. When the second spouse passes away, the assets are not taxed because they are protected under the unlimited marital deduction. Without the use of this credit shelter trust, the gift and estate tax credits for the first spouse wouldn’t benefit the other spouse, leaving the second spouse’s assets subject to higher tax on death. This concept is known as portability and it was made permanent through the American Taxpayer Relief Act of 2012. For those married couples with smaller or medium sized estates, credit shelter trusts can still be a valuable asset. There are several distinct benefits to this concept of portability. To start with, it makes planning easier for married couples. There’s no real added steps that the couple has to take in order to take advantage of portability. There’s no need to create testamentary trusts when portability is accomplished. Doing this also eliminates the need for considering major tax consequences of which spouse dies first. Credit shelter trusts are also relatively easy to administer. The surviving spouse retains control over the assets and the executor doesn’t have to consider the best approach to to trust funding. It’s important to note, though, that tax returns still need to be filed in order for the portability to be protected for the survivor. Finally, beneficiaries can take advantage of a second basis step-up when the second spouse passes away. Assets inside the trust don’t get included in the survivor’s estate. This step up in basis can add a lot of value if there are appreciable assets inside the trust like real estate or businesses. This is because of the high rates associated with capital gains taxes as well as the net investment income tax. For more information about setting up a credit shelter trust for your family, contact Shah & Associates at 732-521-9455.